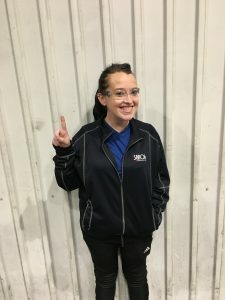 "I started at Sanoh in 2016 through a temporary agency and at 90 days was offered a full time position with Sanoh America. Sanoh America allows for promotion within and since being hired in I have been able to move to an upgrade position as Training Coordinator. In this position I am able to contribute significantly to the new employee onboarding process and development system. It is my personal mission to make every new and current employee, training session, as satisfying, unique, well thought, effective, and stress free as possible. I have watched Sanoh America grow over the last couple of years and take pride that I belong to a company is well diverse and takes a zero tolerance approach to drug/alcohol use in the workplace." “Working for Sanoh America is truly an amazing experience. I come to work every day where I am met with new challenges and projects. Sanoh produces the type of atmosphere that you can better yourself both personally and professionally each time you walk in the door. The support I get from Sanoh America management and co-workers is second to none. As a company it holds huge advancements in professional careers for those willing to put in the time and effort!" With these opportunities, we motivate our employees to do the best that they can. Without our employees, we wouldn’t have a company, so we feel they deserve the opportunity to be rewarded for their achievements. Many of our current employees ended up in a higher position compared to when they started. Some that started on the warehouse floor ended up in a corporate position. 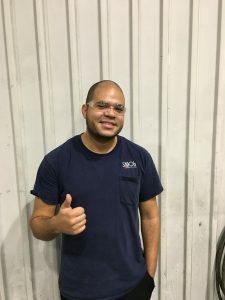 In an automotive manufacturing setting like Sanoh, things can sometimes be difficult to manage, but with our safety policies in place, you will work knowing that safety is a number one priority. Sanoh is an employment provider that lets you prove yourself. If you work hard and are dedicated, you will begin to advance in the ranks of employment. The staff at Sanoh is like a family. You will make friends through the working process. 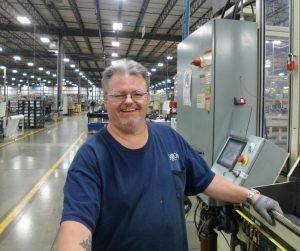 Our employees work together, toward the same goal of putting out product that exceeds expectations and being a cohesive and functional unit. When you supply parts for major auto companies, you need this type of vision to succeed. Sanoh instills this mindset into all workers. Sanoh thrives on individuals coming together to solve problems. If you ever have a question, there are hundreds of helpful, knowledgeable employees there to answer. We also offer Flexible Spending and Health Savings Account (HSA) eligible health plans that allow you to set aside tax-free money to pay for out-of-pocket medical expenses. HSA’s allow unused money to roll over every year to save for not only current, but also future medical expenses. FSA’s allow money to be set aside not only for health expenses, but also for dependent care expenses. All eligible Sanoh America, Inc. associates receive basic life insurance and accidental death and dismemberment coverage at no cost to the associate. We provide short term disability insurance coverage to associates with qualifying disabilities up to 26 weeks. Sanoh America, Inc. believes our associates are our future, and investing in our team members means investing in that future. We offer opportunities for internal and external training for our associates to develop them to be the best they can be. Eligible associates will have the ability to work towards a higher education with our tuition reimbursement program options. At our company, we give everyone the same opportunity to advance from where they begin. There are countless stories of workers that were promoted to higher positions after working hard and proving themselves. North American industry leader in tubular products for automotive applications.